Find out why we need flame retardants and how they work? before including them into your products. Most of the projects we are involved with here at Paxymer are strictly confidential. However, in order to share some of our experiences, we have compiled a few short case descriptions below. GF filled chair in PP for the off-shore industries. Customer introduces a unique new brand extension for the offshore application. Ships/marine and oil platforms mainly. Mechanical properties – retained stiffness and flexibility so that the chair will not break when used. Fulfilment of the IMO standard of EN5660 – cone calorimetric testing. Value <200kW/m2 heat release. Added benefit of Paxymer is that the MB can be used as a drop in component when FR is required straight into the injection moulding machine. Purchasing rational and production flexibility. PP conduits rigid and corrugated. 1) Standard dimensions targeting the green building market and LEED and BREEAM high profile projects. Line extension. 2) Larger dimensions of pipe. 110 mm OD rigid and corrugated pipe. Single and twin layer. 1) Unique product on the market. Opens up profile projects. 2) New products for them. Better price/performance. No solution available on the market today. HDPE conduits single wall and co-extruded. Self-extinguishing properties for the telecom market. Mechanical properties in combination with processing properties and flame retardant. 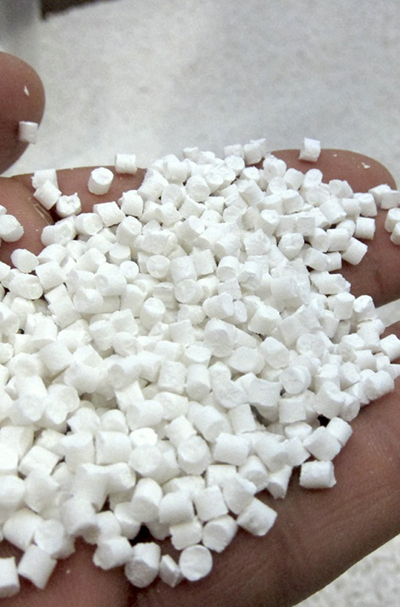 Paxymer is the only material available for HDPE with similar mechanical properties according to customer. End-user is European telecom industries. Potentially very large volumes. PP stadium seats that need to fulfil specific FR requirements and UV requirements. Aging properties of Paxymer, compatibility with colours and UV stabilizers. Excellent process ability and mechanical properties. Customer has been looking for such a solution for more than five years and found no other product that meets mechanical properties and sufficient process ability. Burning standard: Specific seat standard. Various applications. Fulfilling FR requirements with products that have good possibility for finishing work. One example is a cable list that is extruded and drilled with a number of holes for drawing of cables in busses. Paxymer retains flexibility. A brittle material will cause too much scrap in the production and destroy the calculation. Flooring for trade fair floors. The floors will be used and reused again and again – a stiff or brittle material will break. Mechanical properties in combination with a specific flame retardant standard. Customer feedback was “we barely see a difference in mechanical properties when comparing Paxymer filled material with our virgin PP material”. HDPE sheets that are process able and vacuum mouldable. Absolute requirement is completely halogen-free. End application is condensation protection for wind turbines. Process ability and temperature stability of the compound. Mechanical properties of the final compound. Paxymer is the only product that fulfils the requirements. Significant volumes. Customer tried a Kafrit compound and they deteriorated processing and mechanical requirements of the product. UL94 V0 at 3.2 mm. FR HDPE for blow moulding. End application white goods – washing machine. Paxymer is the only solution that meets the smoke criteria with sufficient process ability. Specific standard for white goods. V0 PP for engine compartment to improve safety. Process ability. Paxymer is the only available FR PP Blow moulded that can be produced with a V0 requirement. 1.5 m large blow moulded pipe. Research project with a truck manufacturer. UL94 V0 at 3.2 fulfilled. Injection moulded small details for electrical conduits and connectors. New scaffolding platforms. Wood is increasingly banned in Europe for safety reasons. Aluminium is expensive and volatile. This is a new hybrid approach. Process ability, low impact on mechanical properties and environmental aspects as added benefit. Main protection is against sabotage. Rack for carrying tubes for fire fighters. Process ability. Strict flame retardant requirement especially non-dripping and smoke composition. Compatibility with colours. Welding mask for 3M. Low cost product extension. Switching from PA to PP. Cost savings from PA. Process ability. Very specific mechanical properties – drop tests and shooting tests. Fulfils flammability requirements. Recyclability and environmental profile was added benefit.